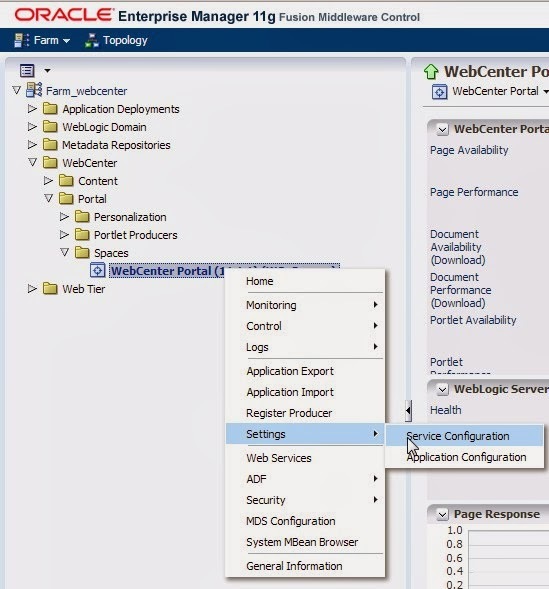 In this post we will be looking at how to integrate Webcenter Content(earlier knows as UCM) with webcenter portal ps7. This post is basically a refrence which we can look every time we need to integrate the two. First and foremost requirement is to start the managed server on which UCM is there. So make the server up if it is not so. Hit the UCM url and it should greet you with login page of UCM like below. So this means, our UCM is up and running. 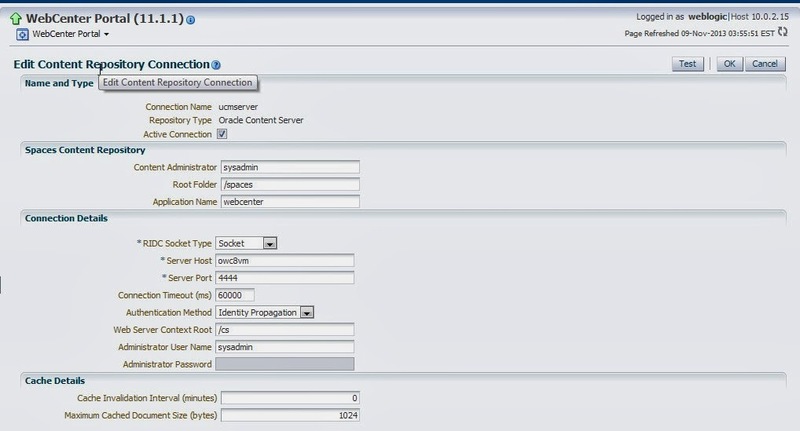 Now in order to make the connection, go to Enterprise Manager Console and login into it. Login into it and expand the WC tab like below . 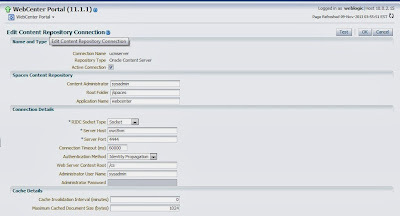 Now right click on this Spaces server and click service configuration. Now click on Content Repository in the Service Name. And click add. Enter the detail like below. Click on Test connnection. It will give success message if the values of connection parameters entered are correct. Do an OK and here you go. UCM is integrated with Webcenter. Now you can use Content Presenter or Document Explorer task flow to upload and download document from UCM inside your WC PS7 app. The article was reallt nice, i had a query regarding Frameworks Application. 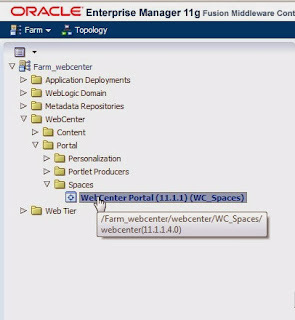 I have Created a Custom Managed Server for Framework Applications (WC_CustomPortal) by extending the existing webcenter domain with oracle.wc_custom_portal_template_11.1.1.jar. 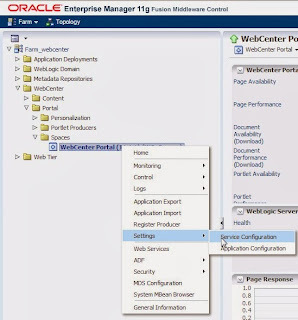 How do i integrate the WC_CustomPortal with UCM ?? Is there a way we can do this using EM-Console or is it only possible thru coding ?? Bluehost is definitely the best web-hosting company for any hosting services you need.